The Mid-Autumn Festival, which is also known as the Chinese Moon Festival, falls on the 15th day of the eighth lunar month each year – September 24 this year. 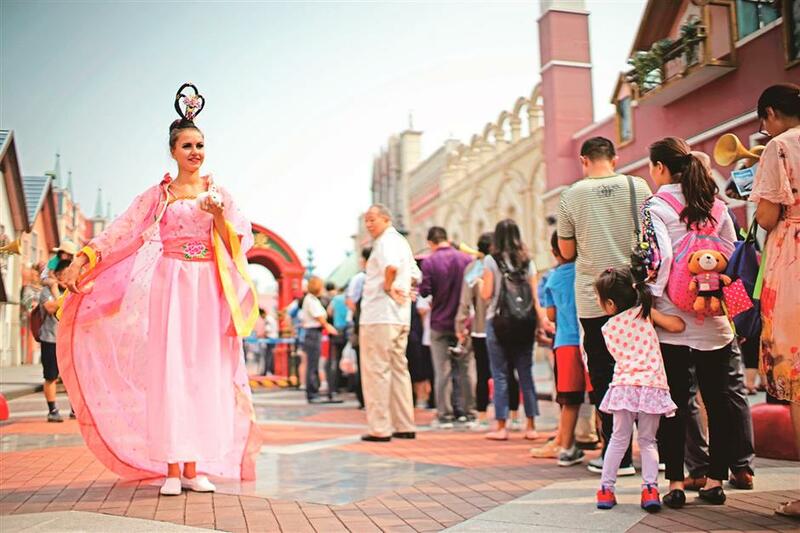 With a rabbit in hand, a Russian modal cosplays Chang’e, the Moon Goddess in Chinese legend, in an entertainment park during the Mid-Autumn Festival in Tianjin. The Mid-Autumn Festival, which is also known as the Chinese Moon Festival, falls on the 15th day of the eighth lunar month each year — September 24 this year. It’s the second most important festival for Chinese people after the Spring Festival, or the Chinese New Year. Though similar to Thanksgiving Day in North American countries, the Mid-Autumn Festival has a much longer history. The moon-worshiping tradition in China dates back to the Spring and Autumn Period (770-476 BC). At first, it was the kings and nobles who followed the moon-worshiping rituals every year, but later it became a festival for all. The festival was also related to the agricultural cycle. So, farmers celebrated to give thanks for a bountiful harvest. However, it was not until the early Tang Dynasty (AD 618-907) that the moon- worshiping tradition officially became a national celebration and known as the Mid-Autumn Festival. In the imperial court, officials and scholars gradually developed a set of rituals for the festival, such as appreciating the moon on that specific night, when the natural satellite of the Earth was supposed to appear the roundest and brightest in the year. They also wrote and sang poems and threw reunions. Many stories and legends have also been told about the Moon Festival and the best-known three stories are of Chang’e, or the Moon Goddess, the Jade Rabbit and Wu Gang, a banished woodcutter. The following are brief accounts of the three legends. Eons ago, there were 10 suns in the sky. They routinely came out in turns, bringing light and warmth to the world. However, one year the 10 suns came out together. Their intense heat immediately burnt crops, scorched the land and dried up rivers and lakes. As a result, thousands of people and animals collapsed and died of either starvation, dehydration or exhaustion. Houyi, a hero and master archer, didn’t want to see more people die, so he climbed to the top of a high mountain and shot down nine suns. To reward the hero, the Queen Mother of the West gave Houyi an elixir for immortality. But the hero didn’t want to become an immortal and leave his beautiful wife Chang’e behind. So instead, he gave the elixir to his wife for safekeeping. One of Houyi’s disciples, however, learned about the secret and on the 15th day of the eighth lunar month, when Houyi was out hunting, he broke into Houyi’s house and forced Chang’e to surrender the immortal elixir. In a fight, Chang’e swallowed the elixir. Immediately, she began to float into the sky and eventually landed on the moon. She couldn’t come back to Earth again. When Houyi came home and learned what happened, he was heartbroken. In tears, he set up a small table in the courtyard and put the fruits and cake that Chang’e liked on the table as sacrifices to his wife. In deep sympathy to Houyi and his wife, many people followed suit to offer sacrifices to Chang’e and worshiped her as the Moon Goddess. Once upon a time, there were three immortals who disguised themselves as three poor old men wandering around places and begging for food. One day, they met a fox, a monkey and a rabbit. Both the fox and the monkey offered them something to eat. But the rabbit didn’t have anything to give them. So, the rabbit told the old men that the only thing it can offer was itself. After saying that, the rabbit immediately jumped into a raging fire to cook itself. The three immortals were so moved by the rabbit’s self-sacrifice that they pulled it out of the fire and sent the rabbit to the moon to accompany Chang’e. On the moon, the rabbit constantly pounded medicine in a mortar to make elixir of life for the Moon Goddess. Also, the rabbit became commonly known as the Jade Rabbit. According to one version of Chinese folklore, Wu Gang first lived in a place called Xihe during the Han Dynasty (202 BC-AD 220). 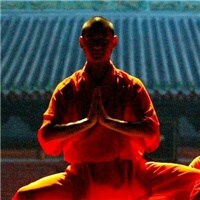 Later, after he followed some immortals to learn the method of eternal life, Wu was sent to live in Heaven. But he made a serious mistake there and was banished to the moon. As a punishment, he was ordered to cut down a giant osmanthus tree there. But the tree would always grow back to its original size. So, Wu could never fell the self-healing tree, even though he kept chopping day after day. An essential part of the Chinese Moon Festival is eating mooncakes while appreciating the beauty of the round, bright moon. Usually, mooncakes are round-shaped pastries which are filled with lotus seed paste, red bean paste, walnuts, preserved fruits, dried flower petals, pork, egg yolks or other ingredients. The shape not only resembles the moon that night, but also serves as a symbol of reunion of families and friends. There are different explanations about the origin of mooncakes. According to one legend, they came from an uprising against the rule of the Yuan Dynasty (1271-1368). The uprising was led by Zhu Yuanzhang (1328-98), the founding emperor of the Ming Dynasty (1368-1644). To unite the scattered forces and organize a large-scale revolt against the ruling Mongols, Zhu had to tell them when they would take action. But, due to the government’s strict control and constant searches it was difficult to get the message out. So, one of his advisers thought of the idea of hiding notes in traditional mooncakes and had them sent to different rebel forces, telling them to act on the night of the 15th day of the eighth lunar month. The revolt succeeded and Zhu became the first emperor of a new dynasty. He decided that at all following Mid-Autumn Festival people should eat mooncakes to celebrate the successful uprising. In addition to mooncakes, people also like to drink osmanthus wine, a low-alcohol drink sometimes sweetened and flavored with osmanthus flowers. Sometimes, circumstances might prevent families and friends from getting together for the festival. In 2006, the Mid-Autumn Festival was inscribed on China’s first list of national intangible cultural heritages and it is now also a national holiday.